The revolutionary design of the Bratt Bat evenly distributes swing weight throughout the bat as opposed to just the end of the bat; which you get with a weighted doughnut. 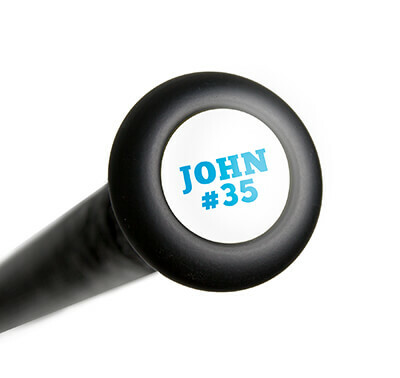 This bat will loosen your hitting muscles all the while strengthening them. Your hands, wrist, and arms benefit the most from work with the Bratt Bat. Studies have been done to prove that this training device can add up to more than ten MPH to your swing. The Lexan plastic tube and hard wood handle used in the manufacturing process makes the Bratt Bat virtually indestructible and one of the safest on-deck training tools. These bats range in size from 29 to 35 inches. When choosing a bat, you should choose a bat similar in length to the bat you swing at the plate. This will help develop a more powerful, quick swing. Hitters of all ages and levels of play are marveling at the difference the Bratt Bat can make to your offensive game. Free shipping! Pros: wow this bat is amazing. it works better than a donut and a sleeve cuz it doesnt feel top heavy like a donut or sleeve. it made my swing alot faster at the plate. Cons: becuz it worked so well i was swinging for the fences cuz my bat felt like a toy. so i couldnt hit anything offspeed the first day. it just takes some adjusting. because the bat now feels lighter it makes u way more patient at the plate after a couple of games. Pros: Been using the 100oz the last few offseasons, and I swear by it. I've incorperated it into all my swing workouts. It's added a lot power, increased control and batspeed for me. I use a 70oz ondeck and its a great way to loosen up and make your gamer feel light. Wish I'd found this a long time ago. I recommend this to any hitter who wants to improve batspeed/control and power. Cons: Well it will make you work..so expect to be a little sore the first time you get serious with it. And it doesn't do anything by itself, you have to swing it like you mean it. Pros: Very durable. Better than just donut. Well used by college team. This is second one, first still going strong. Have a question about the Bratt Bat Training Wood Baseball Bat: BRATTBAT Adult? Ask our team of experts and they will respond within 24 hours. Can you actually hit a ball with this bat? Is it made to hit with? 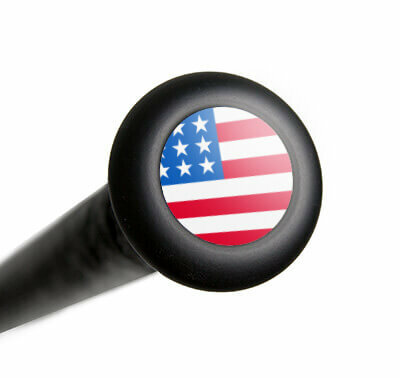 The Bratt Bat Wood Training Bat is an on deck training tool only. You should not hit balls with this particular training bat. Is this good for BBCOR and a 12 year old? The Bratt Bat Wood Training Bat: BRATTBAT Adult is a training bat and cannot be used in a game. It does not have to be BBCOR certified. If I'm 5'9" and weigh 155 pounds what size do you think I should get? Based on your height and weight, we recommend a 32 inch bat. A 70 ounce Bratt Bat Wood Training Bat: BRATTBAT Adult would be best for your height and weight. Can you use a baseball in soft toss? I am 6'2" and weigh about 150 lbs. What bat length should I use? The Bratt Bat Wood Training Bat: BRATTBAT Adult only comes in the 35" length. I'm 5'9" and weigh 190 pounds. Which weight should I practice with? Based upon your height and weight, I would lean more towards the 35" / 80 oz. Bratt Bat Training Wood Baseball Bat: BRATTBAT Adult. I am 6'1" 185 lbs. Which weight should I be using? The Bratt Bat Training Wood Baseball Bat: BRATTBAT Adult is a bat used to get loose while on-deck. There is not correct weight for one player to use versus another. Based on your height and weight, we would recommend getting either the 75 or 80 ounce model. My son is 14 and 115 lbs. Should he use the adult or youth BRATTBAT? What size? We would recommend getting the Bratt Bat Training Wood Baseball Bat: BRATTBAT Adult in either a 65 or 70 ounce model. I have a 70 oz Bratt Bat. Should I swing everyday including game day or just the days of my weight training workout? The Bratt Bat Training Wood Baseball Bat: BRATTBAT Adult are designed for on-deck preparations in an effort to help quicken the swing prior to stepping up to the plate. Due to how much heavier these bats are compared to the bat that will be used in the game it is best to limit the amount of practice swings so as to not fatigue the body.